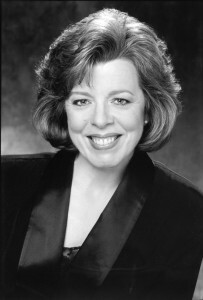 Joan Krueger, vocal coach, maintains a private coaching studio in New York City and in 2004 was named Classical Singer Magazine’s Coach of the Year. Ms. Krueger is also active as a recitalist and accompanist. She appeared on A&E’s Breakfast with the Arts with soprano Carol Vaness and has performed as a guest artist at many universities and recital series across the country. Through New York’s Mostly Mozart Festival, she has worked with Cecilia Bartoli, Sumi Jo, Vinson Cole, Frances Ginsberg and Sally Wolf. She has also been an Assistant Conductor at Sarasota Opera, Music Director for NYU’s Opera Workshop, and a coach forIntermezzo Opera Festival. Currently, she is on the faculty of Martina Arroyo’s Prelude to Performance and the Westchester Summer VocalInstitute summer festivals. She is the annual pianist for several International vocal competitions, including the Gerda Lissner, the Jensen Foundation, the Chester Ludgin Verdi Baritone competition, the Licia Albanese Puccini Foundation and has been a judge for the Classical Singer vocal competition. Ms. Krueger received her B.M. from Michigan State Universityand her M.M. from the University of Michigan.